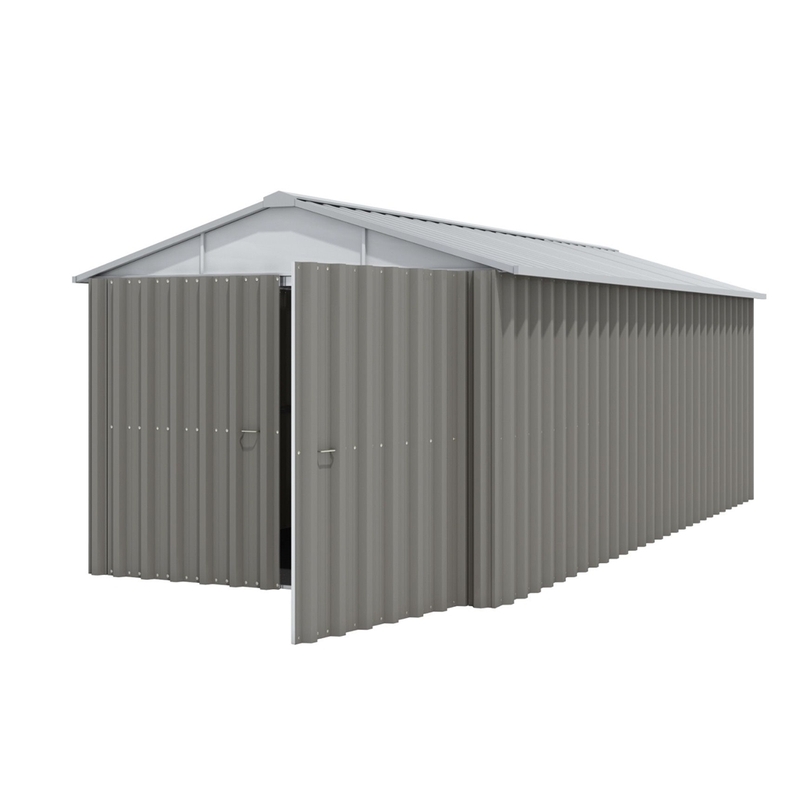 The Yard Master Metal Garage is manufactured from high quality hot dipped galvanized steel providing safe and secure shelter for your car or motorbike. Painted inside and out the YardMaster Garage comes complete with a 10 year guarantee against rust perforation, as standard. No painting, preserving or rust proofing is ever required. In fact we are so confident in our rust proofing system, that we will replace free of charge any undamaged panel which has perforated through rust within 10 years of purchase (see guarantee for full protection details)The Shiplap range of YardMaster metal sheds are styled like a traditional wooden shed, but unlike wood they are completely maintenance free. Manufactured from high quality hot dipped galvanised steel they are coated with a polymer. No painting, preserving or rust proofing is ever required.